personally get a copy from our office in Binondo or Greenhills, or you email us your address and we will send you a copy via courier for free. So get a copy of our 2019 brochures now! With the constant development in China’s infrastructures and new destinations, we also continuously revise our itineraries to give updates to our passenger for the latest must see tourist attractions in China. Here are some of them that you shouldn’t miss. Good News travelers ! The Hongkong SAR Government have announced that the Hongkong high speed rail will officially begin its operation on September 23. Consequently, the Hongkong – Zhuhai – Macau Mega Bridge will also be opening this year. Lots of travellers are expecting to experience this new type of train called the “Vibrant Express” that will serve as a link from Hong Kong SAR to inner China and at the same time let them have a high speed train travel escapade. 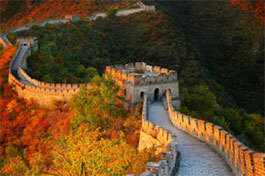 that, almost all tourist places in China are fascinating during the Autumn season. 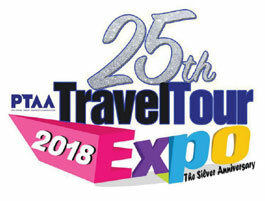 The 25th PTAA Travel Tour Expo 2018 is fast approaching. 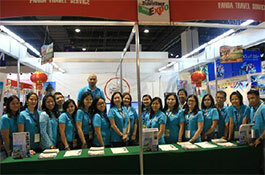 The 3-days fair will be held at SMX Convention Center, Mall of Asia Complex, Pasay City from February 09-11. 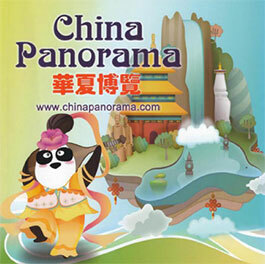 Once again, China Panorama will be one of the participants to offer you great deals to your desired China destinations. 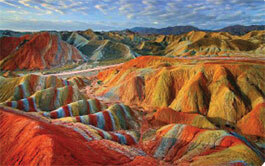 Visit us at booth #’s 363, 364, 383, & 384 and be amaze in discovering the beauty within China. In time for the expo, when you book on or before FEBRUARY 20, you can avail and enjoy DOUBLE EARLY BIRD DISCOUNT (DEBD) for all of China Panorama's summer departures except for the Cost Savers. 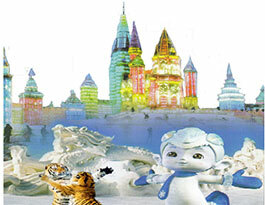 Of all the Winter itineraries we have released, Harbin tours (W1/W2/W3) piqued the interest of our passengers the most. Many of them have already booked and deposited not only for this coming Christmas season but also for January and February. Apart from Harbin tours, we also offer other tours such as Zhangjiajie(C9A) and Beijing Wtown Tour (WBW1) which are less colder than Harbin. And for those who prefer only moderate coldness, Shanghai with Disneyland and Guangzhou are their destinations of choice. Still undecided on where to go for this coming Winter season? Check out our available departure dates and you just might find the destination for you. Want to go to Beijing or Shanghai but you’re on abudget? Why not try our new Basic Beijing and Shanghai tour where you can still experience the same quality tour China Panorama is well known for at a lower cost. We have re-arranged our Classic Beijing and Shanghai itinerary to cater to those who are budget conscious but still wants quality tour. We have already released our flyers for Basic Beijing (B1-4B), Basic Shanghai (H1-3B), Basic Shanghai, Hangzhou, Wuzhen (H2A-4B), Basic Beijing, Shanghai, Hangzhou and Wuzhen (C1A-6/7B) for departures starting September until February. 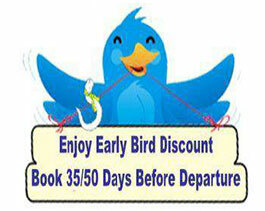 However, no early bird discount (EBD) can be offered due to minimal margin. China Panorama was one of the lucky participant in the recently concluded familiarization tour organized and sponsored by China National Tourism Administration Office in Singapore held last June 08-13, 2017 in Wuhan, Hubei Province entitled “Route No. 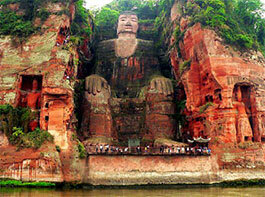 2: Wuhan & The Grand Canyon Tour”. A photo exhibit showcasing breathtaking sceneries from China entitled “ Beautiful China 2017 Year of Silk Road Tourism” was recently held at the Federation of Filipino Chinese Chamber of Commerce, Inc.
last May 28-29 and at the SM Mall of Asia Main Mall Atrium last May 30-31. 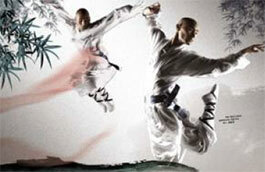 The event was sponsored by the China National Tourism Administration in Singapore in cooperation with FFCCCII. More than a thousand passengers have joined our tour this Holy week. And it was a good result for us. The passengers were satisfied and enjoyed their tour, with the beautiful sightseeing, nice hotels, delicious foods, and the efficiency of the tour guides. Even though most of the comments are good but we also received a few negative comments about the tour like, the tour is so hectic that they don’t have enough time to shop. Some of the food is oily and spicy. The tour guides are not properly explaining about the scenic spot. Since China Eastern regularized their flights of Manila-Chengdu late 2016, China Panorama took the opportunity to re-arrange our Southwest China Tours - Sichuan, Chongqing (C8). It is now convenient for the passengers to go to Sichuan, unlike before they had to have many transit before getting to Sichuan. Sichuan province is famous for it’s breathtaking landscapes, UNESCO World Heritage - natural and cultural attractions, and for it’s pandas. All of the attractions are UNESCO World Heritage sites; Mt Ermei Scenic Area and Leshan’s Giant Buddha both natural and cultural sites, Dujiangyan for cultural, and Jiuzhaigou for natural. The promotion of Double Early Bird Discount (DEBD) last expo (February 10 to 12, 2017) was splendid. It turned out to be the best compared to last year’s DEBD. Our Summer departure, especially most of the Holyweek dated from April 8 to13, 2017 schedules, are already full. Although, some destination and dates are still open. So for our travel partners, please verify your booking with us before accepting or confirming your bookings with your customers. The long wait is over! 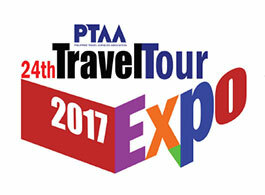 The 24th PTAA Travel Tour Expo 2017 is here. It will be held at SMX Convention Certer, Mall of Asia Complex, Pasay City on February 10 - 12, 2017. 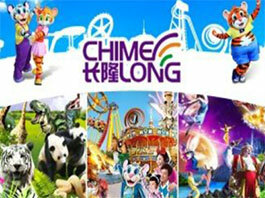 Visit our China Panorama booth at booth #’s 409, 410, 421 and 422. See you there! 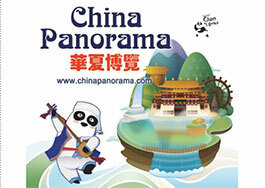 China Panorama prepared a lot of great deals to offer exclusively during the expo season. First, there’s the new flight of Manila to Chengdu made available by China Eastern Airlines (MU). 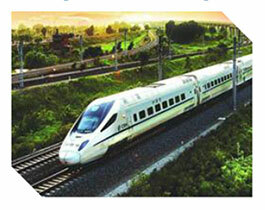 It will be more convenient for the passengers to access the Southwest China. by going to our office in Binondo and Greenhills, or email us your address and we will send the book to you via 2go courier for free. So grab a copy now and book with us! With the constant developments in China’s Infrastructure and tour destinations, and new discoveries in cultural and natural heritage, China Panorama had already prepared and developed the changes in the tour itineraries. China Panorama attended the China International Travel Mart (CITM) in Shanghai New International Expo Center last November 11-13, 2016. Many from different countries have participated. The delegates had a tour in Shanghai. They visited the four famous towers (Shanghai Tower, Oriental Pearl TV Tower, World Financial Tower & Jinmao Tower), and attended a forum and various activities prepared by the organizers. That gave them a chance to mingle with other countries’ delegates and operators of tours in provincial China and other countries. 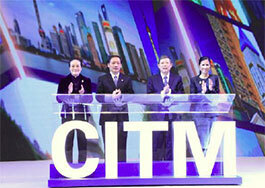 The event was jointly hosted by CNTA, Civil Aviation Administration of China and Shanghai Municipal People’s Government. This coming Spring 2017, China Panorama added a new attraction that will be integrated to our Guizhou tour (C4B 6Days) regular itinerary. 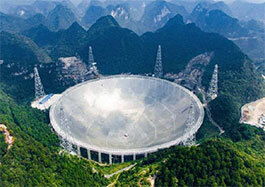 You’ll be able to visit the world’s largest single-dish radio telescope known as the Five-hundred-metre Aperture Spherical radio Telescope (FAST for short), nestled in a valley surrounded by naturally formed karst hills with twice the sensitivity and a reflector as large as 30 football pitches. This newest attraction has began working last September 25th. The telescope represents a leap forward for China’s astronomical capabilities and will be one of several “world-class” telescope projects launched in the next decade. Every year during winter season, the water surrounding the area of Yangtze River in Three Gorges gets shallow. River cruises like Century Paragon and Century Legend cannot pass by the area, so cruises re-route to the lower reach of Yangtze River near Shanghai. This coming season of joy, China Panorama took the opportunity to make a new arrangement called Yangtze River Cruise, Disneyland (HYA) tour. Travel period is from December to February. 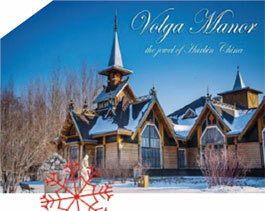 Thistour consists of 3 days 2 nights cruise relaxation plus 1 whole day tour in Disneyland. Every middle of the year we revise our itinerary to incorporate the constant development in China’s infrastructures, attraction, and tour destinations. This year we already had completed our revised itineraries. We included some of the new itineraries such as North Guizhou, South Sichuan (C4E-C8D) and Three Gorges Region by coach (CYB). Furthermore we added the new attraction in C9A Zhangjiajie Grand Canyon Glass Bridge. We are also in the process of posting the updated itineraries in our website. Meanwhile, if you need some itineraries that are not available in our website don’t hesitate to call our office for any inquiries. This is about the scenery that takes your breath away. 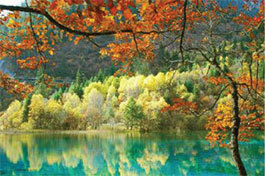 Jiuzhaigou is one of the best places to see fall colors in China. It’s worth visits during its four different seasons. However, autumn especially September - Early November is the best time to visit, because of the comfortable weather and the fairy land of colorful trees (green, yellow and flaming) and pools, graceful waterfalls, and snow-capped mountains. Well known for its beautiful water - multi-level waterfalls, alpine lakes and tranquil grassland. You won't know what the area will offer until you have been there. As early as May, China Panorama has already released flyers with 35/50 days early bird discount to promote the three special tours in China. 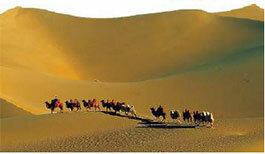 These are the Silk Road, Kanas tour 7-12 Days (C10A-7/9/12); Inner Mongolia & Ningxia 5-8 Days (C10C-5/8); and Tibet with express train to Xining and Qinghai 7-10 Days (C10T-7/10). These three tours are best to visit during august to September, where you can enjoy the cool breeze weather, the amazing colourful scenery, the historical sites, and the exciting festival activity and performance. Because of our early promotion, some of the tours departure dates are already fully book and for the passengers who had booked and deposited earlier are already enjoying the 50 days early bird discount. Golden Season is the best time to travel in China due to the landscapes start to transform into a rich and vibrant hues, with colors ranging from bright yellow to flaming reds and also the cool breeze weather. If you’re coming to china to see the colourful fall then the best thing to do is travel through the big cities then into nature. A big city like Beijing and Shanghai is hard to imagine having natural scenery. China Panorama’s 35 days early bird discount has been in the market for almost two years and we have seen good results, which benefits the passengers with better discount on their desired tours, chosen departure date and accommodation. Because of this, we want to strengthen the early booking by coming up with 50 days, to have a larger discount for our passengers to enjoy the same concept as the 35 days. This is also to encourage our passengers to book and plan ahead to avoid buy-ups on the airfare and accommodation. Summer Palace, Beijing Zoo Panda Center, Olympic Complex, and Juyongguan Great Wall. We still have lunch at the Original Quanjude Restaurant for the Peking duck meal. 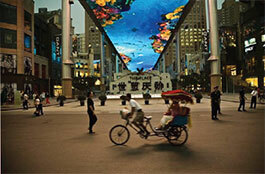 bargain market, and change San Li Tun Commercial Complex to the newest Luxury Entertainment and Shopping complex, The Place. With the strong support from all our passengers in 2015, China Panorama was recognized as one of the top producers of Chimelong Resorts for Southeast Asian countries during the Chimelong Group International Sales Conference last January. 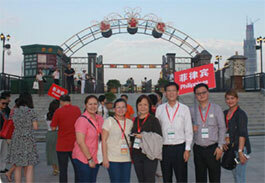 As a reward, Chimelong Group gave us a special rate for a one-time departure as pre-holy week promotion. 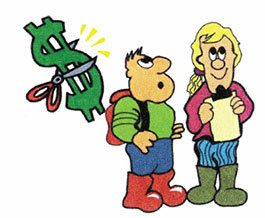 Hence, we came up with the Special Promo and Interliner, with departures Feb. 25-28 (G2B-4), and Feb. 26-28 (G1-3). Since Feb 25 is a holiday and falls on a Thursday, we'll have a long weekend. Good News! China Panorama has released an interliner and promo for the next Philippine Holiday, Feb 25, EDSA Revolutionary Anniversary. 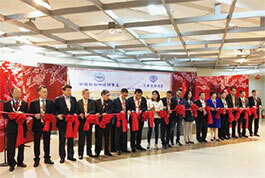 This is in partnership with China Southern Airlines and facility operators in Guangzhou. Grab the opportunity to go to the Guinness World Record holder of World’s Largest Aquarium, the Ocean Kingdom, for a low price.